25 photographer chosen, fully retouched high resolution digital images. Up to 1 hour photography. Perfect for a simple elopement, vow renewal or wedding on the beach with up to 4 guests. 40 photographer chosen, fully retouched high res. digital images. 60 photographer chosen, fully retouched high resolution digital images. Up to 1.5 hours photography. Additional time and imagery for a group of 15-25 people. 100 photographer chosen, fully retouched high resolution digital images. Up to 2 hours of photography coverage. The Kapalua wedding photography package is good for larger groups 30 and above who may be using a private or semi-private venue. Additional hours and images available on request! 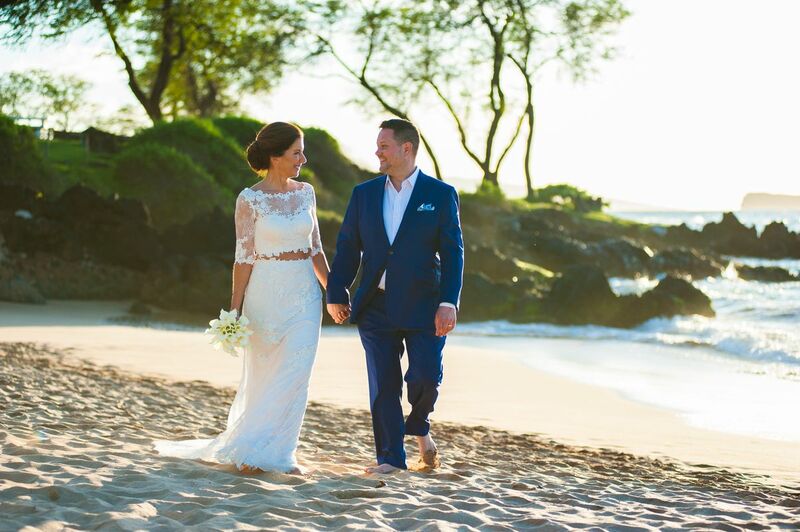 Professional Maui wedding photographer Joe D'Alessandro combines decades of photographic excellence with an intimate knowledge of Hawaii and a laid back, no drama style to create a timeless, contemporary and artistic representation of your Maui wedding. Our photo journalistic style combined with staged scenes and formal portraits, creates a wedding portfolio for our clients that captures the essence and beauty of their Maui wedding day. We are also a full service Maui wedding planner providing uncompromising imagery and service at reasonable rates. Upon editing your images we fill in hot spots on the face, remove glare from sweat, adjust the image and add subtle yet effective photos hop effects to create a finished product quite unlike any other. Joe will even bring some makeup to touch up the bride on a hot beach. These are truly handcrafted images. Our Maui wedding photography packages include high resolution digital files from your wedding day uploaded to an online gallery and unlimited royalty free reproduction rights. You don't have to order the high resolution files after viewing them, they are yours as part of the purchase price.